One of the most revered and recognizable ocean liners in the world: Experience the magic onboard! The Disney Wonder was launched in 1999 and Wonder’s maiden voyage embarked on August 15, 1999 to the Bahamas for a four-night cruise. It was built in the Italian Fincatieri’s shipyard and is decorated in the Art Nouveau style. This ship from Disney Cruise Line operates under the Bahamian flag. At a length of 964 feet it can accommodate a maximum 2,400 passengers and guests are looked after by a crew of 945 members. Disney Wonder features diverse entertainment, including Broadway-caliber musicals and fireworks at sea, deck parties, imaginative kids clubs, adult-exclusive hotspots, 3 themed pools and much more. The Disney Wonder also has a video game arcade called Quarter Masters. The Disney Wonder offers a vast range of itineraries, mainly cruising the Caribbean, but this stunning ship will also head off to ports in Alaska, Canada and Europe! All Disney Cruise Line ships use a dining rotation. The second ship in Disney’s fleet, Disney Wonder is the sister ship to Disney Magic. The ship boasts dozens of activities for passengers of all ages, and is particularly well-suited for families with children. Younger guests will be enchanted by the on-board movie theaters, the Aqualab water park and themed play areas that bring their favorite movies to life. Grown-ups can recharge at the adults-only Quiet Cove Pool, or have their own party at the Azure dance and cocktail club. There’s even something for teens and tweens – the Edge activity center and Vibe youth club give young adult passengers the chance to meet other cruisers in their age group and catch a break from those annoying parents. Perhaps the most popular activity on the Disney Wonder is a live production of “Frozen, A Musical Spectacular.” This on-stage interpretation of the animated classic delivers audience members their favorite songs and familiar stories while providing a breath of fresh air in the form of new musical arrangements, fresh surprises and stunning theatrical effects. And of course, what Disney show would be complete without a chance to meet the characters at the end? 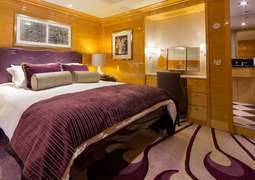 There is a variety of staterooms onboard the Disney Wonder from which to choose, each designed with comfort and family in mind to suit all budgets and needs. Choose from standard or deluxe Interior, Oceanview and spacious Verandah staterooms, or the Concierge, which provides Disney Wonder’s most luxurious accommodation and premium amenities. Indulge your inner foodie on board the Disney Wonder, where a great range of dining options await you. Enjoy a slice of Italy at Pinocchio’s Pizza, sample American-French fusion at Triton’s or savor traditional Southern cooking at Tiana’s Place. There’s something for the whole family to enjoy at the innovative Animator’s Palate or enjoy a romantic evening with your loved one at the adults-exclusive Palo restaurant. 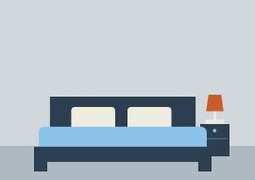 Fancy breakfast in bed? A 24-hour room service is also available on board the Disney Wonder, perfect for lazy days at sea. Childhood dreams of meeting your favorite Disney character become reality on board the Disney Wonder, with the opportunity to hang out with Mickey, Minnie, Pluto, Donald Duck and more at the on-board kids’ clubs or autograph sessions. Cruise on board the Disney Wonder for the opportunity to enjoy a host of Broadway-caliber Disney Spectaculars, such as Frozen, A Musical Spectacular, The Golden Mickeys and Disney Dreams. A cruise on board the Disney Wonder is the definition of fun, with a great variety of fun activities available to keep the whole family entertained. Take advantage of a host of age appropriate activities for kids, tweens and young adults, such as Disney’s Oceaneer Club, MARVEL’s Avengers Academy, Edge and Vibe. The Disney Wonder is a pool-lover’s paradise with several unique pool areas, from the kid-friendly AquaLab and Goofy’s Pool to the Quiet Cove Pool, an adults-only retreat. A fabulous range of rejuvinating fitness and luxurious wellness facilities await you on board the Disney Wonder. Pamper yourself with an indulging treatment at the Senses Spa & Salon and take advantage of the fully-equipped onboard gym, featuring state-of-the-art equipment, fitness classes and health seminars. Feel free to dress as you please on board the Disney Magic. All Disney Cruise Line ships use a dining rotation. You can choose from casual quick snacks or you can dine in more intimate surroundings. The Disney Wonder offers three main restaurants: Triton’s, Tiana’s Place and Animator’s Palate. The largest complimentary restaurant Cabanas is designed like a casual beach-themed eatery during dinner and also operates as a buffet during breakfast and lunch. Palo, the adults-only restaurant, offers sweeping ocean views, elegant décor and serves Northern Italian fare. American classics and French food can be enjoyed at Pete’s Boiler Bites and for some memorable Disney magic and contemporary cuisine head to the Animator’s Palate. You are guaranteed to find everything you need for a successful cruise in the many styles of staterooms onboard the Disney Wonder. 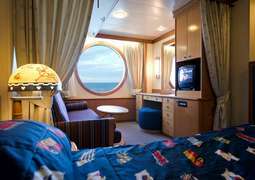 Here your stateroom is your own private retreat – a relaxed, family-size getaway, breathe in the ocean air and stretch out in style and comfort. 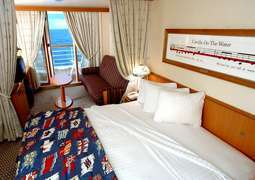 The accommodation of Disney Wonder was specially designed with families in mind.